Highest priority nothing is more important than the safety of our people and out communities. We integrate environmental considerations into our business decisions, and we design or modify our products and processes to minimize their environmental, health and safety impact. 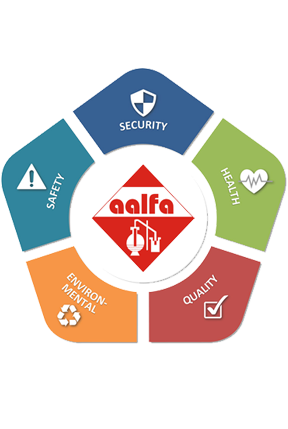 Demonstrating our management as well as individual level of commitment to safeguarding the environment aalfa dyes & chemicals maintains the highest level of compliance with all applicable environmental regulations. High marks and appreciation for our Zero-discharge products by representatives, government agencies and environmental groups are evidence of our leadership for pure and healthy environment. Thus it is justified that development and environment can go together. Our core competencies enable us to offer added value to your business through realistic solutions with highly leveraged and ecological benefit.